Another month of low inventory in most of the 18 cities I track. It appears that only Diamond Bar has a slightly heavier amount of inventory with 4 months. I believe that may be because of the higher price point in Diamond Bar - the median price is currently $710,000 (in that city, the least expensive home is $575,000 and the most expensive is $3,200,000). The rest of the cities are again showing 1-2 months of inventory (the new norm? ), and only 7 cities sold more homes in March 2018 compared to March 2017. Most of the cities (11 of them) sold less and the differences in performance year over year range from 11% to 41% less in March 2018. My analysis is higher housing affordability may be scaring buyers. Also, many buyers are fearful we are approaching another “bubble,” like the one that caused the housing market to crash back in 2006/2007. The fact is, economists that I have listened to don't believe that there is a “bubble,” because market performance is steady, unemployment is low, and wages are higher. Increasing home values (or, the forming “bubble”) are actually driven by low inventory and fewer building permits being granted for new construction. Could prices go down? Maybe, if interest rates continue to climb, but again - economists don't believe that will affect the prices of homes because the current forecast for interest rates is reflecting just a 1 or 2 percent increase over the next year. Whatever the cause, one thing is certain: we need inventory. 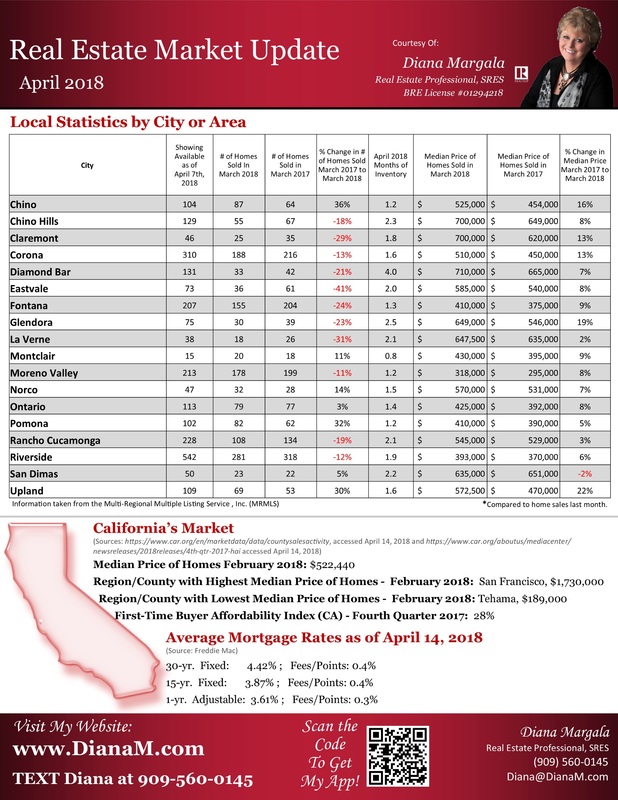 As far as sale prices from March of last year compared to March of this year, San Dimas is the only city that went down while all the others increased from as much as 2% to 22%. 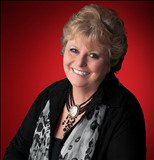 So, if you’re wary of selling your home because you don't see where you will be able to move, or your fearful of buying/selling because of your unanswered questions about the market, give me a call. Let's get together and go over our strategy of how we can get you into your new home, and if you’re selling, doing it fast and at top value. I’m here to help you map it all out!